How to go to Sagada? Buses like Victory Liner, Dagupan/Saulog Transit, Philippine Rabbit and Genesis have frequent trips to Baguio. In fact Victory Liner has 24/7 services to Baguio. The fare ranges from P350 - P450 depending on which bus you take. There are frequent trips to Sagada by jeepney. First trip from Bontoc to Sagada is at 8:30AM and last trip is at 5:30PM. From Sagada to Bontoc, the first trip is at 6:30AM and last trip at 1:00PM. Two buses operate trips from Manila to Banuae everyday. One is Auto Bus with terminal at F. Cayco, corner S.H. Loyola Sampaloc, Manila. The fare is P400 and the schedule of trips are 6:30PM for Manila-Banaue and 10:00PM for Banaue-Manila. Reservations hotlines are: +63 2 493 4111 or +63 921 2685526 in Manila and +63 926 7301931 in Banaue. Another bus which is more comfortable is Florida Bus with terminal at Earnshaw St. Sampaloc. It has single daily trips to and from Banaue for P450-P500 depending on the class of the bus. Their trip schedules are 10:45PM from Manila to Banaue and 8:00PM from Banaue to Manila. Officially, there is only one trip going to Bontoc daily at 8:30AM near the Banaue public market. Alternatvely you can catch the bus that passes through Banaue to Bontoc but timing are not fixed. Buses like Cable tours ( 5:30AM to 7:00AM), Bonbon Bus (10:00AM-12:00PM) and Emmanuel Trans (12:00PM to 1:00PM) Fare is P150 for jeepney and P170 for Cable Tours. Going back to from Bontoc to Banaue, there are vans and jeep available and the terminal is located near the new Cooperative Bank - walking distance from Municipal hall. last trip is at 1:30PM but if you miss the jeep you can take the cable tours back to Banaue at 3:00PM. 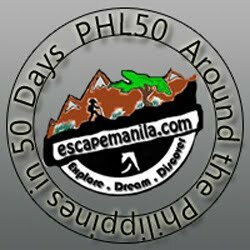 Where to Visit / What to do? Tour a whole new world underneath the cave and experience spelunking at Sumaging! Take a tour to the limestone valley, St. Mary’s church and the great Hanging Coffins -one os Sagada’s unique tradition. Have a trek to the rice fields and villages going for a cool swim at the base of the waterfall. Have a glimpse of the rice terraces and great mountain ranges and the majestic sunrise with mystic clouds lying in between mountains. Trek on top of the mountain ranges overlooking central Sagada. Dip, dive and swim on its naturally hollowed pool. 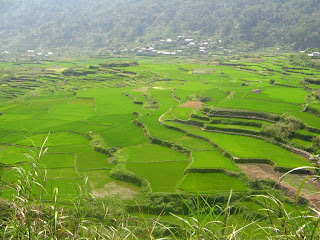 If you want to know more about Sagada’s culture and traditions, you can pass the place or have a guided tour. Take a trek to the bald mountains located east of Sagada. Trek and explore the wonders of the cave. Yoghurt House – you haven’t completed a tour in SAGADA if you missed its home made yoghurt. Lemonpie House – serve lemon, blueberry and apple pie. Shamrock Cafe – complete your Food Trip adventure by tasting Ms. Connie’s lots of wide range of breakfast options. Rock Inn Café and Restaurant – Taste the Best and Original taste of Orange Juice. Masferre Restaurant – Pancake is what they serve best, take your time also in viewing one of the oldest photo memories of SAGADA, taken by the late Jaime Masferre. Cusina Igorota – if you are curious enough to taste the dish the natives love. You can find it here. They also serve Filipino dishes. Blue Sky Snack house – this establishment specializes in preparing pre booked snacks.